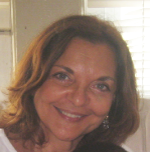 Donna M. Blau is an education consultant with 30 years of experience in the field of general and special education. She has provided advice, interventions and support to professionals, children and their families with regards to treatment and prevention; provides referrals, strategies, evaluations and opportunities in a practical, relevant manner. Ms. Blau has held numerous positions including a teacher, evaluator, administrator and supervisor in the NYC Department of Education. In addition to her work with the ADD Resource Center, Ms. Blau works as a consultant to private educational agencies that provide a variety of services and resources to children from birth through high school age and in both the public and private school setting.